Raz B says he's going to tough it out on the B2K reunion tour, despite fearing for his own safety ... and feeling less than appreciated by his group mates. We got Raz in Brooklyn Wednesday afternoon -- ahead of B2K's show Thursday in Rochester, NY -- and the singer tells us he's no longer throwing in the towel, despite shocking fans by announcing he was quitting ... just a few days into the highly anticipated tour. Something or someone changed his mind -- Raz says he's gonna continue touring with Omarion, Lil Fizz and J Boog ... but he still has a few demands, like beefing up his personal security. As you know ... Raz ranted Tuesday night on IG, telling fans he was quitting and laying blame on the group's former manager, Chris Stokes, who Raz has accused of sexual abuse. Translation: Chris is the reason Raz doesn't feel safe on tour. The good news for B2K fans ... Raz says the group is getting along better now, and the tour is in full effect. 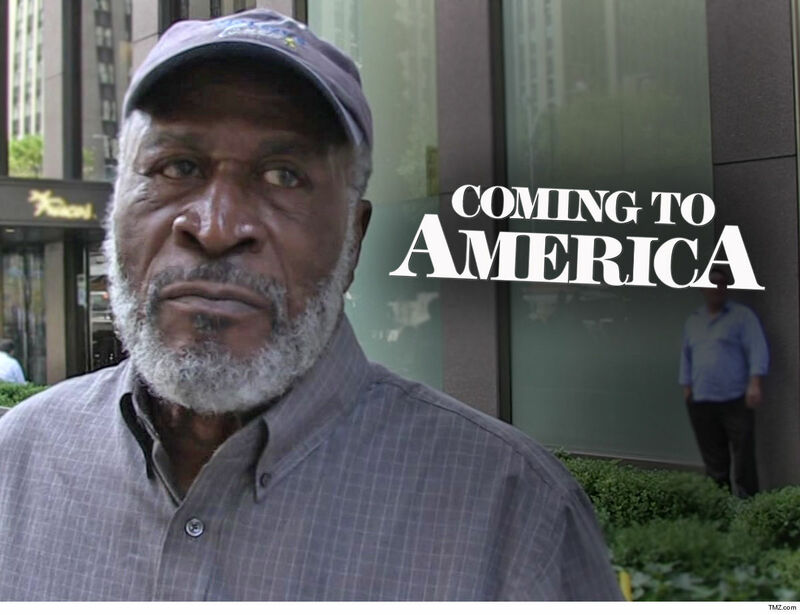 'Coming to America' Star John Amos Cleo McDowell's Hungry For Sequel ... Here's My Burger Pitch!!! John Amos is craving the opportunity to work with Eddie Murphy once again on the upcoming "Coming to America 2" ... and he's got a delicious reason why he should reprise his role as Prince Akeem's boss. We spoke to John, who plays McDowell's owner Cleo McDowell in the OG film, after news broke Friday that Craig Brewer is coming on board to direct the sequel ... and John gives us his pitch for why he belongs in the reboot. Disclaimer: you might get hungry after listening to John's wild ideas. It's interesting ... John tells us he hasn't been formally contacted to come back for seconds, even though Paramount Pictures is reportedly intent on bringing back the original cast, which includes Shari Headley, Arsenio Hall and James Earl Jones. Watch ... John is bubbling with ideas for the sequel, if and when the producers hit his line. Turn the lights off ... we're told the rumored Blink-182 reunion is NOT happening, despite some heavy social media speculation. 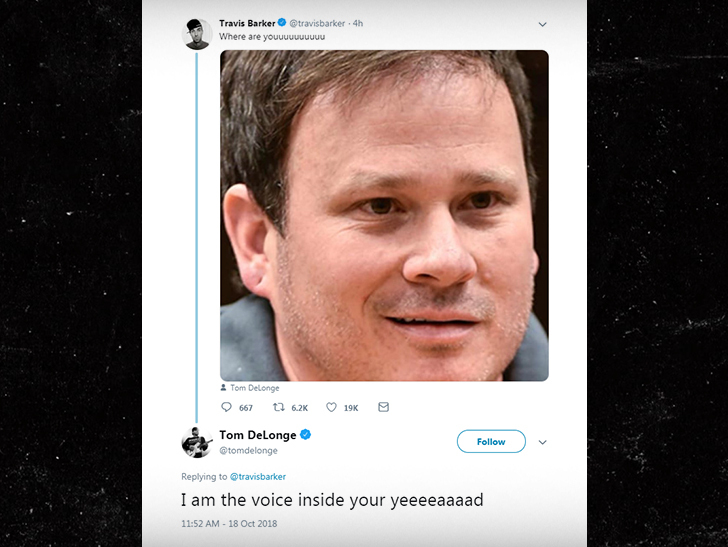 Drummer Travis Barker ﻿and former Blink singer/guitarist Tom DeLonge ﻿got the rumor mill turning Thursday with this playful Twitter exchange ... but sources close to the band tell us Travis and Tom were just trolling each other, and they don't wanna mislead their fans, who were all just unsuspecting victims for a few hours. 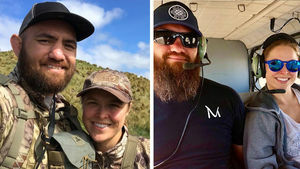 We're told Travis and Tom privately communicate all the time, and this was just fans seeing their relationship on social media. 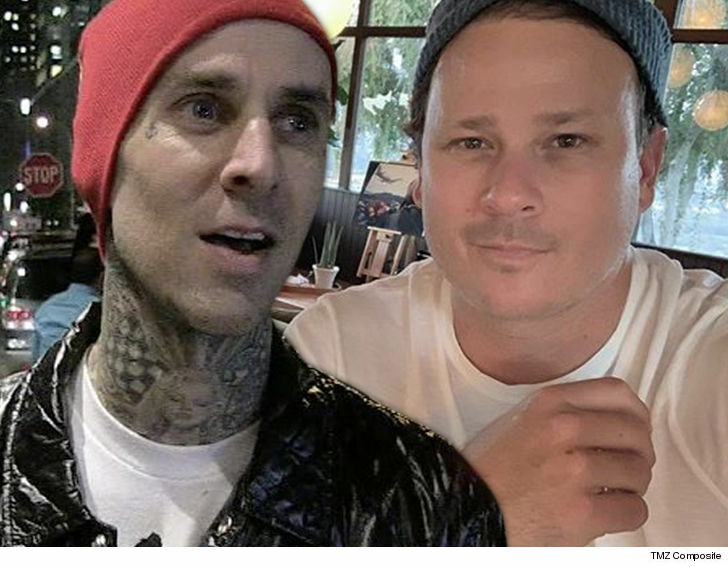 There is some good news ... Travis has finally been medically cleared to drum after getting treatment for blood clots, and he'll perform with Blink on Oct. 26 and 27 in Vegas! 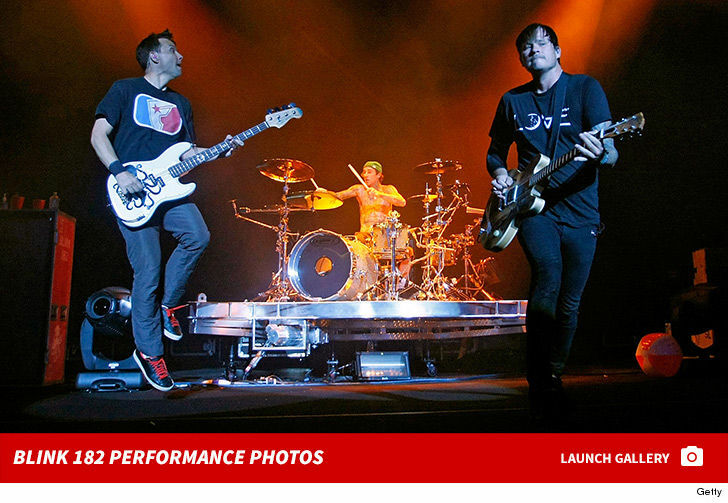 But, Tom won't be onstage ... it's still Travis, Mark Hoppus and Matt Skiba. The Weeknd & Bella Hadid Look At Us Kiss We're Back Together!!! This very public --and passionate -- kiss can only mean one thing ... The Weeknd and Bella Hadid are totally back together and now they want EVERYONE to know. The superstar couple reunited Sunday with some PDA outside their Los Angeles hotel before hitting the town for a lunch date ... in super cute matching track jackets!!! Couples who dress together, get back together. Or, something like that. Bella stepped her shoe game up with a pair of all black Nike Air Max 95s ... and the model showed off her amazing figure in extra tight workout shorts. Stepping out with your super hot gf for an upscale meal at Crossroads? The Weeknd definitely knows how to Sunday Funday. It looks like things are fully on between them after they were seen rekindling their romance earlier this summer in the south of France. Now, it's official in the States too. The Weeknd & Bella Hadid In Case You Haven't Figured it Out ... We're Back Together!!! The Weeknd and Bella Hadid might wanna bone up on a few key phrases now that they're back together in the south of France. Voulez-vous coucher avec moi ... comes to mind. The exes tried to make a low-key exit from a party Thursday night in Cannes, but that's kinda hard to do when you're both famous ... and hot. It's been a minute since they were an item -- about 18 months, actually -- but they looked cozy inside and outside the event. Bella and Abel weren't hiding it as they got up close and personal. The two were all smiles all evening together. No word on exactly when the reunion happened, but they were also reportedly spotted hanging out together at Coachella last month. Not so easy to stay apart when you're très hot. If Destiny's Child is ever in the market for a fourth member, they don't have to look further than Michelle Obama, according to Kelly Rowland. We got Kelly at LAX Friday where she told us Michelle can bust a move like no other. She saw firsthand this week at College Signing Day, a Philly event celebrating high school seniors pursuing higher education. The former First Lady hosted and busted out some choreography with "Empire" star Jussie Smollett. So, we asked Kelly if Michelle got the same intense training DC did leading up to Coachella -- could she hold her own. Kelly hesitated at first, but it does look like Michelle could be a good backup plan if the trio hits the road again. Mick Fleetwood says to expect some surprises when Fleetwood Mac hits the road again this year without guitarist Lindsey Buckingham -- including some Tom Petty gems. Buckingham was fired from the band last month and replaced by Mike Campbell, the lead guitarist for Petty's Heartbreakers, and Neil Finn from Crowded House. It was a pretty bad departure, but when we got Mick at LAX Wednesday he told us the band wouldn't be cutting all of Lindsey's songs out of the setlist ... but they will be focusing on having fun. Remember, classics like "Go Your Own Way" and "Don't Stop" are largely Lindsey jams. We asked if there's any chance for reconciliation, and Mick's answer is pretty definitive -- and sad for fans of the OG Mac. 'NSYNC Reunites for Walk of Fame ... Draws HUGE Crowd!!! 'NSYNC getting a star on the Hollywood Walk of Fame Monday looked a lot like Times Square outside 'TRL' circa 2000 -- hundreds of screaming fans trying to catch a glimpse. Lance, Justin, Joey, Chris and JC reunited for the first time in nearly 2 years at the unveiling of their star. The last time they were all together was a couple of years ago at JC's 40th birthday bash. The timing was perfect, since Timberlake is in L.A. for his current tour. Their fans are clearly as passionate as ever -- despite no new music from the guys since 2001 -- and packed both sides of the street for the ceremony ... which is NOT common for these events. The 'NSYNC faithful didn't get a performance, but Ellen DeGeneres and former 'TRL' host Carson Daly pumped up the crowd with introductions. Miguel would have the time of his life ... if he can just sit in on ABBA's writing sesh as the legendary band gears up for a virtual reunion tour. We got the singer Sunday at Reagan National Airport and talked to him about the founding members of the Swedish pop group -- Agnetha Fältskog, Björn Ulvaeus, Benny Andersson and Anni-Frid Lyngstad -- reuniting and recording for the first time in 35 years. Miguel superfan'd out, and you gotta see how he responded when we asked if he'd like to collaborate with the group. ABBA holograms will perform 1 of their 2 new songs for a TV special later this year before kicking off their tour -- which will also include virtual reality of the members. We're guessing, based on his reaction, Miguel will be snatching up a ticket to one of the shows. 'RHOA' star Marlo Hampton is calling BS on Kim Zolciak, saying she is 100 percent racist for saying NeNe Leakes lives in a “roach nest," even if Kim denies it. We spoke to Marlo after Sunday's 'RHOA' reunion show, where most of the cast ganged up on Zolciak for the "roach" comment. Marlo says, in the black community, roaches are synonymous with poverty and imply you're living in the projects, which is a far cry from NeNe's gorgeous Atlanta-area home ... and Kim should've put two and two together. Kim vehemently denied she was being racist, and was caught on camera calling racism today "bulls**t" because of social media. She also said she felt attacked by five African-American women on the show. Marlo says that's the problem in the first place ... Kim's ignorance to her own racist comments, and that the reunion should've served as an eye-opener. Might be a little late for the schooling ... Kim's not coming back next season. The Destiny's Child reunion is still going strong post-Coachella because all three ladies stepped out together Tuesday night in L.A. for a fashion event. Beyonce, Kelly Rowland and Michelle Williams attended the Dundas traveling pop-up store opening in West Hollywood. Beyonce wore the designer threads for her 2017 Grammy performance. It's not unusual for Kelly and Beyonce to hang together offstage, but Michelle rarely tags along. She's there, but hard to spot ... in the back. The trio are fresh off a highly successful Coachella reunion, but certainly looks like the show's not over yet. Tiger's Masters Win ... Greatest Comeback Ever! !